April Events And Ideas That Will Change Virgo Life! In April, stars will concentrate on your love life that promises to be frustrating yet exciting. Mars and Saturn will align with each other in the best possible way on April 2.  It means you’ll try hard to move things along in your romantic sector but will face lots of blocks and challenges. Try to be more flexible and don’t stay the course if it leads to nothing. A New Moon in your 8th House of Intimacy that will occur on April 15 will open new horizons for you and your loved one. You’ll reach a greater level of connection with your partner. If you’re married, it concerns the financial sphere of your life as well, so try to avoid risky ventures as they’ll hardly bring you positive results.